Although the broad market was down 1.3%, a couple of sectors still managed to hang onto weekly gains: Automobiles and Parts and Technology. 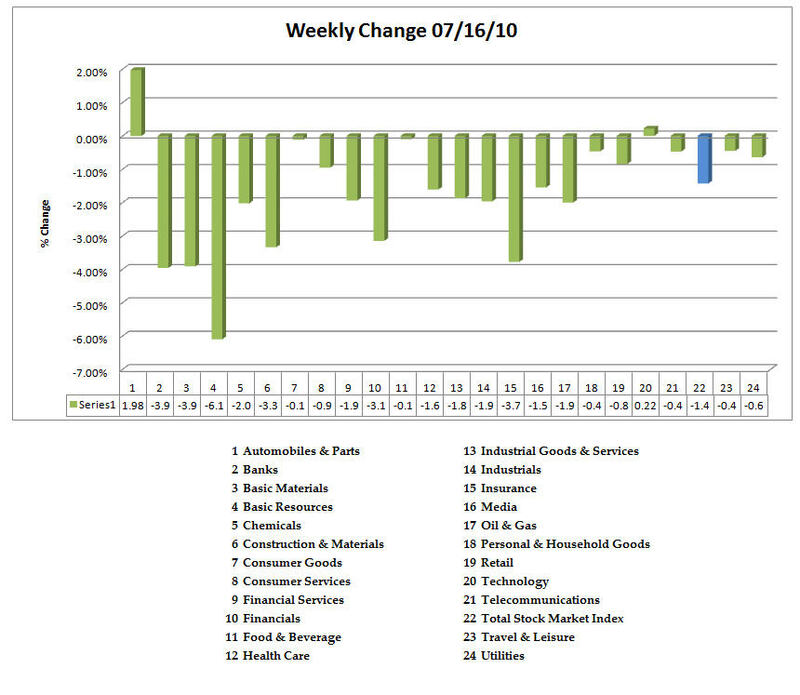 Also, 18% of the 148 sectors managed to have gains for the week. As is usual, I have created a PDF for you which you can download here. 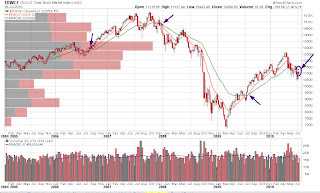 I want to share with you a chart of the $DWCF (Stockcharts symbol), the DJ Total Stock Market Index. This is the index that I use to show the relative performance in the sectors. I use this rather than the $DJUS (Stockcharts symbol) because it has volume information. 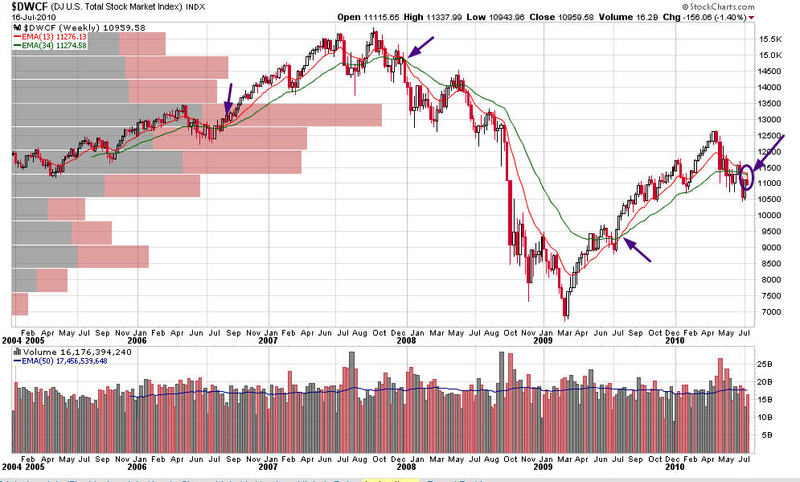 I have 13/34 week exponential moving averages (EMA's) on this chart. I have noted for you with the purple arrows the crossovers. I am still of the mind that the market is at an important crossroads. This week, the market was psychologically bludgeoned by (1) evidence of deflationary forces on the market through wholesale prices decline; (2) the Fed's report did not inspire confidence [Would they really tell us if they expected a double dip recession? No. ]; (3) consumer sentiment lower; and (4) declining Philly manufacturing index. I'm practicing equanimity with respect to this market. It has managed to surprise and befuddle many, and I expect it to not veer from that MO as earnings season continues to unfold. 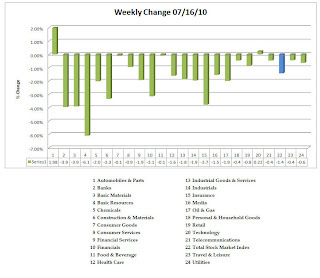 I'm reading: Weekly Sector Report | 07/16/10 (by Leisa) $$Tweet this!